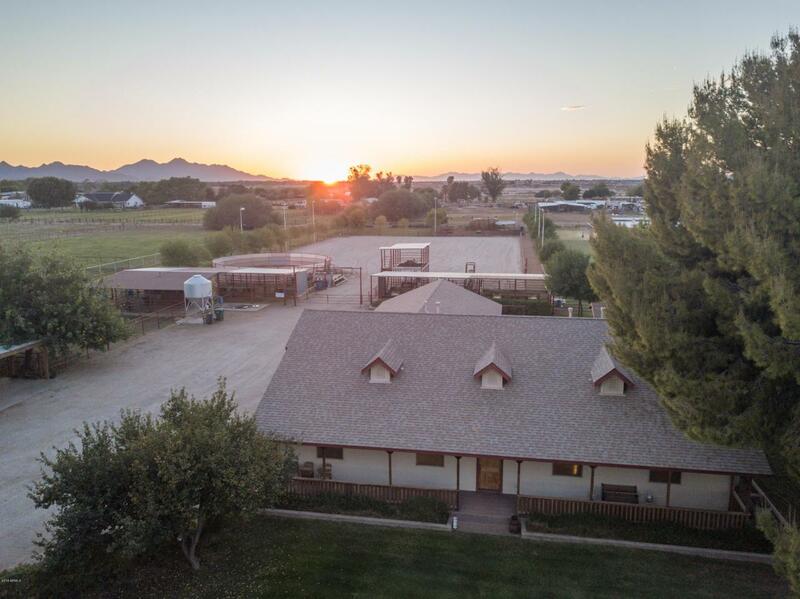 39554 Taylor offers 3.43 acres horse property with irrigation rights, lighted roping arena with 2 viewing decks, round pen, pasture, 11 stall shed row, tack room & storage room with a bathroom, pellet bin. 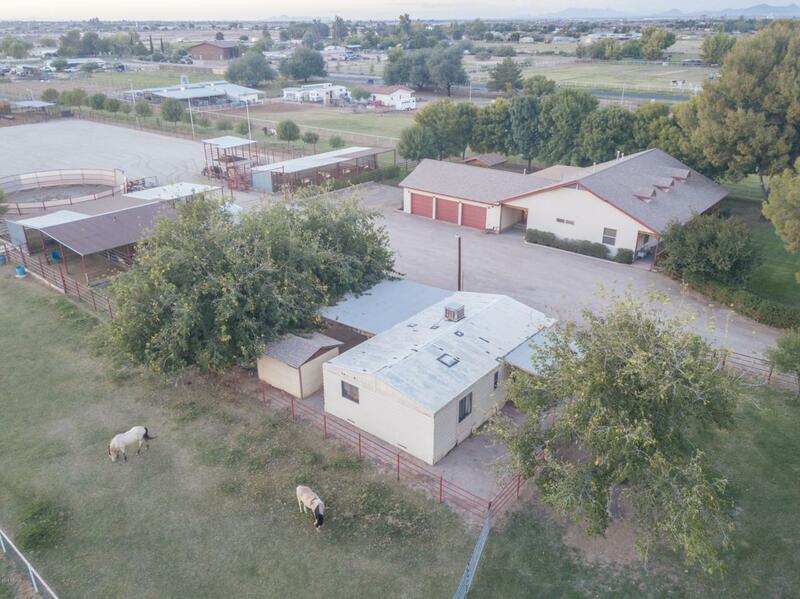 2 HOMES for the price of 1, 2bed/2bath manufacture home with a car port & the main home offers a 4 bed/ 2 bath open floor plan with a back yard view of your own garden,fire sprinklers, owners state the home is well insulated. 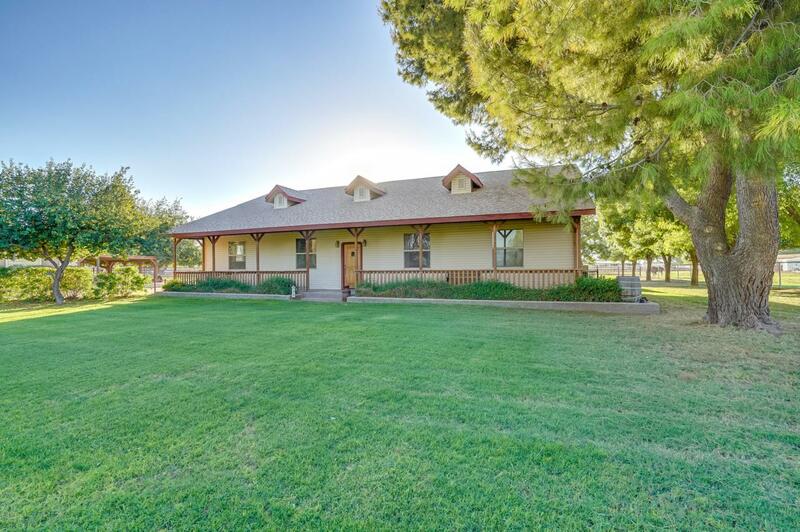 Great location, in the heart of San Tan Valley, 5 minutes to down town Queen Creek yet with so much country charm! True pride of ownership! 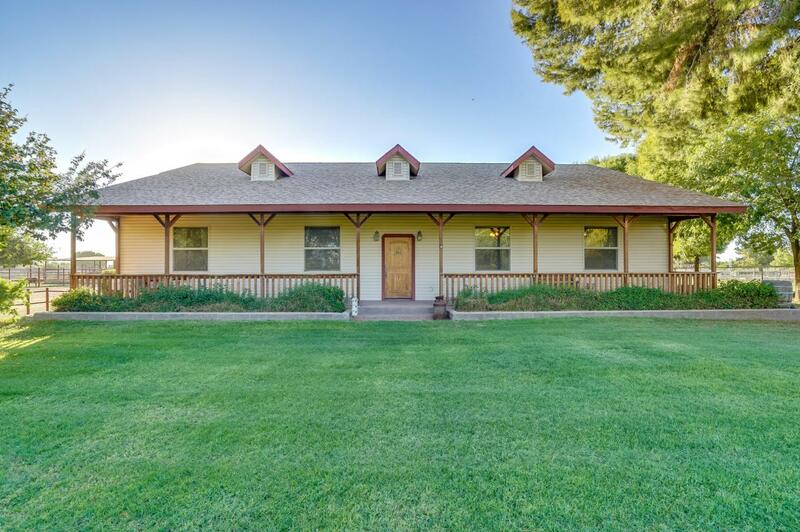 You will not find a property that offers this much in the area.